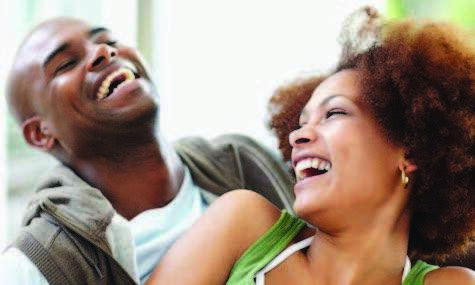 Home relationship DOES PRE-NUPTIAL COUNSELLING MAKE MARRIAGE BETTER? DOES PRE-NUPTIAL COUNSELLING MAKE MARRIAGE BETTER? The debate has been raging. The mountain of ‘points’, for and against the imperative, or otherwise, of pre-nuptial counselling keeps growing. It is not an exactly straight-forward debate so there may never be an end to it. But what do you think? Are you for or against? This implies that counselling entails one or more interactive sessions with the person(s) being counselled (the counselee) and the counsellor(s), discussing in an open-minded, truthful and respectful manner. The counsellor, employing tact and empathy, asks several questions to ‘dig out’ facts from the parties in order to offer appropriate and practical advice on how to manage the issues the interactive session(s) throw up. Therefore, counselling sessions are always about the counselee and never about the counsellor. The counsellor might learn a thing or two from the session(s) but it is essentially in the interest of the counselee. • How to prepare for the post-marriage years of their children; etc. Perhaps, like me, you are wondering: if marriage counselling is for the ultimate good of counselees, why do many intending couples dread it? Also, why do several couples who had counselling before they got married end up separated or divorced? While you are pondering your position, let us consider a few issues. Which of these posers do you think is true? 1. If one or both would-be couples tell half truths or outright lies during their counselling session, the counsellor’s advice cannot lead to a good marital experience? Bear in mind that nothing ruptures the foundation of a marriage like half truths and outright lies. 2. If one or both would-be couples refuse to meet the other party half-way on areas they do not agree about, the counsellor cannot help them build a good marriage? 3. If a would-be couple do not seek GOOD counsel or avoid counselling before they get married, they are building an ornament filled palace on sand? 4. If one or both of them employ ‘effizy bouquet’ (pretending to be what the other party needs in a spouse just to get to the altar), the marriage mirror will be shattered soon after the wedding, leaving many people with regrets and who knows what? during their own interactions or during counselling – as tools of abuse or embarrassments whenever disagreements arise? and shops, and end it all in society divorce? Have we not all noticed that there is general increase of broken marriages? As it is with celebrity marriages so it is with non-celebrity marriages. The only difference is that celebrity marriages attract attendant undue high focus. In a nutshell, the same high level, intensely demonic determination to steal, kill and destroy marriage and family life that was brought against Adam and Eve is still at work today – celebrity couple or no. The intention is to ensure that the family, which is the nucleus of communities, is driven to self-shred and total ruin while the spouses involved erroneously see themselves as the enemy of one another! However, it is true that most celebrity marriage fail due to heavy ‘efizy bouquet’ brought to bear during courtship, on one hand, and expecting too much from the other party, on the other hand. In addition, the ‘do you know who I am?’ attitude make most celebrities stand-offish even to their spouses. Who can endure being often put down or reminded that one is ‘lucky’ to be married to a star? Another issue that affects celebrity marriages is if both of them are celebrities or affluent. Many immature celebrity couples jump into negative and negating competition that gradually erodes the anchor holding up the marriage. Besides counselling, the other issues that can afect marriages, generally, are the priority the couple give to God, His Word and the content and effectiveness of their prayers; the frequency and quality of ‘us’ time the couple deliberately create for themselves; the value-system of each of them; and, how well they insist that ‘three is a crowd’. In conclusion, counselling on its own does not determine a good marriage. The quality of counselling and the post-counselling attitude of one or both counselees will make all the difference.